Messi & Co. congratulate the Golden State Warriors! 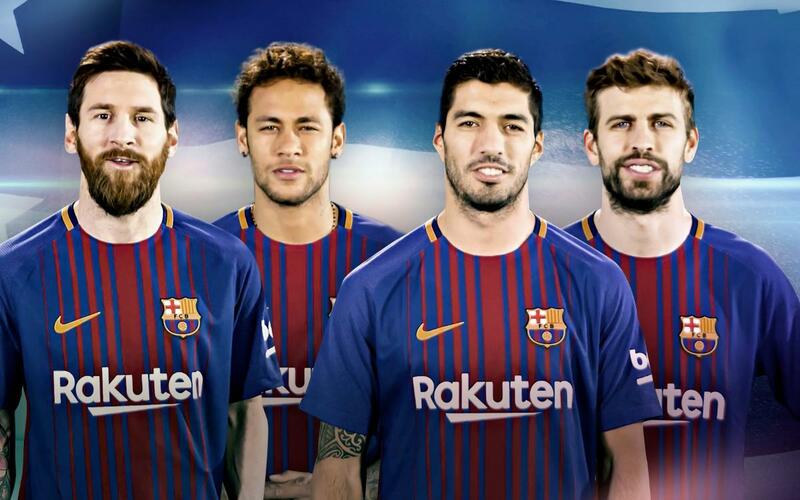 Such is the principal message of congratulations offered up by four of FC Barcelona's biggest stars, who took part in a laudatory video heaping praise on the Golden State Warriors, the 2016/17 NBA Champions. The video commences with Barça's superstar striker, Lionel Messi, smiling wide and saying "Felicidades, Warriors!" in Spanish, and continues with Neymar, Gerard Piqué and Luis Suárez all grinning from ear to ear as they repeat the phrase "Congratulations, Warriors!" in English. With just five weeks to go until FC Barcelona departs for its 2017 Summer Tour, the Club is turning its focus to the United States. The team will visit New York, Washington DC, and Miami in late July for three marquee matches in the International Champions Cup. On July 22nd, Barça faces Juventus at MetLife Stadium in East Rutherford, New Jersey. On July 26th, Barça meets Manchester United at FedExField in Landover, Maryland. The tour then wraps up on July 29th, when Barça and Real Madrid play in Miami, in the first ever El Clásico to be held on American soil.